Shaffer Chimere Smith (born October 18, 1979), known professionally as Ne-Yo, is an American singer, songwriter, record producer, actor and dancer. He gained fame for his songwriting abilities when he penned his 2004 hit “Let Me Love You” for singer Mario. The single’s successful release in the United States prompted an informal meeting between Ne-Yo and Def Jam‘s label head and the signing of a recording contract. Ne-Yo’s debut solo single, “Stay“, was released in 2005 to moderate success. His debut studio album, In My Own Words (2006), was critically and commercially successful, reaching number one on the Billboard 200 chart in the United States. It is certified platinum in the United States, United Kingdom, Japan and Australia and saw the success of the single “So Sick“, which topped the Billboard Hot 100 chart in the United States. Because of You (2007), Ne-Yo’s second studio album, was the second number one platinum-selling album debuted on the Billboard 200 and Top R&B/Hip-Hop Albums charts, and received the Grammy Award for Best Contemporary R&B Album at the 50th Grammy Awards. His third studio album, Year of the Gentleman (2008), saw continued success and further Grammy Award nominations for Best Contemporary R&B Album as well as Album of the Year. Its singles “Closer” and “Miss Independent” were also nominated for the Grammy Award for Best Male Pop Vocal Performance, Best Male R&B Vocal Performance and Best R&B Song.Year of the Gentleman has been certified platinum twice in the US, selling two million copies, also platinum three times in the UK and once in Japan. Libra Scale (2010), Ne-Yo’s fourth studio album, reached number one in the UK R&B Singles and Albums Charts and number 9 on the US Billboard200, seeing a decline in overall sales. In the spring of 2011, Ne-Yo collaborated with American rapper Pitbull and Nayer on his single “Give Me Everything“, which peaked at number one on the Billboard Hot 100, giving Ne-Yo his second US number-one single, his first since 2006’s “So Sick” and his first as a guest artist. Ne-Yo also revealed in an interview that he would like to collaborate with Chris Brown, Lil Wayne and Drake on his upcoming album. His fifth studio album, R.E.D. (2012), saw the international success of its lead single “Let Me Love You (Until You Learn to Love Yourself)“, which certified platinum in the United States and sold over two million copies. Ne-Yo’s sixth studio album, Non-Fiction, followed in 2015. His seventh studio album, Good Man, was released on June 8, 2018. 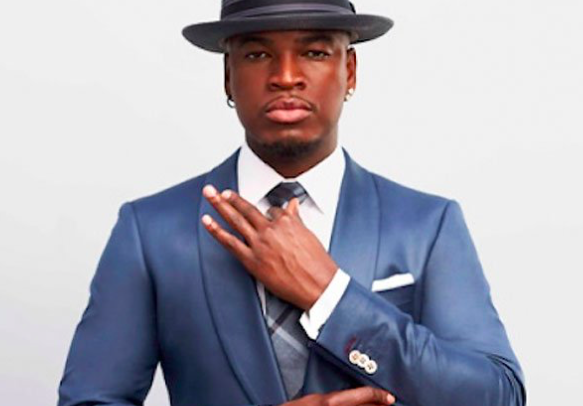 In addition to music, Ne-Yo currently serves as judge for the reality competition series World of Dance alongside Jennifer Lopez and Derek Hough.